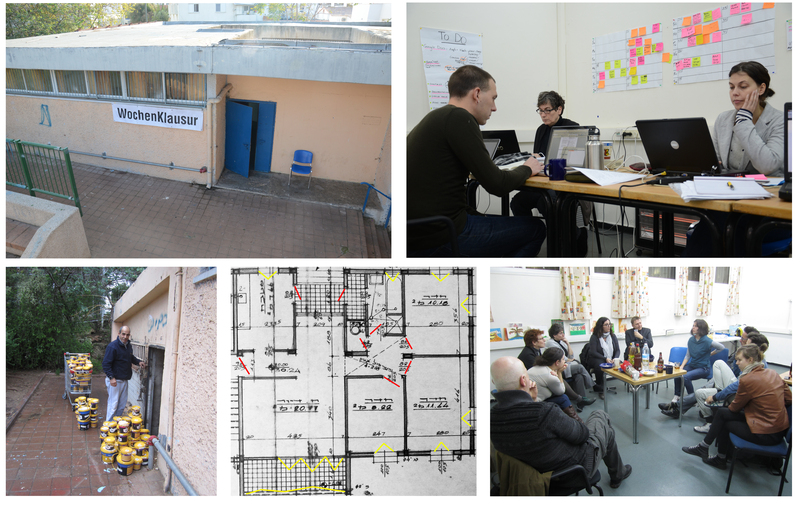 On invitation of the Israeli Center for Digital Arts the international artist collective WochenKlausur set up a structure to provide apartment renovations in the Jessy Cohen neighborhood in Holon, at no cost to the residents. In addition to other socio-economic challenges, these residents are faced with sub-standard housing conditions and a lack of resources necessary to improve them. To realize these improvements, WochenKlausur created a structure of partnerships with local businesses, municipal authorities and professionals that could donate materials, time, funding and expertise. Also community groups, schools and youth groups were asked to participate with volunteer work. Depending on their capabilities and resources these partners form a network of assistance. After the three-week residency, a coordinator was hired to run the continuing project, which is still in operation.